JOHNSON VALLEY, CA, JANUARY 29, 2010: The 2010 Griffin King of the Hammers has 21 additional spots available for the 42 competitors of the 4 Wheel Parts Last Chance Qualifier on Tuesday February 9th and Wednesday February 10th. The Last Chance Qualifier has a lot of names that are familiar with King of the Hammers. 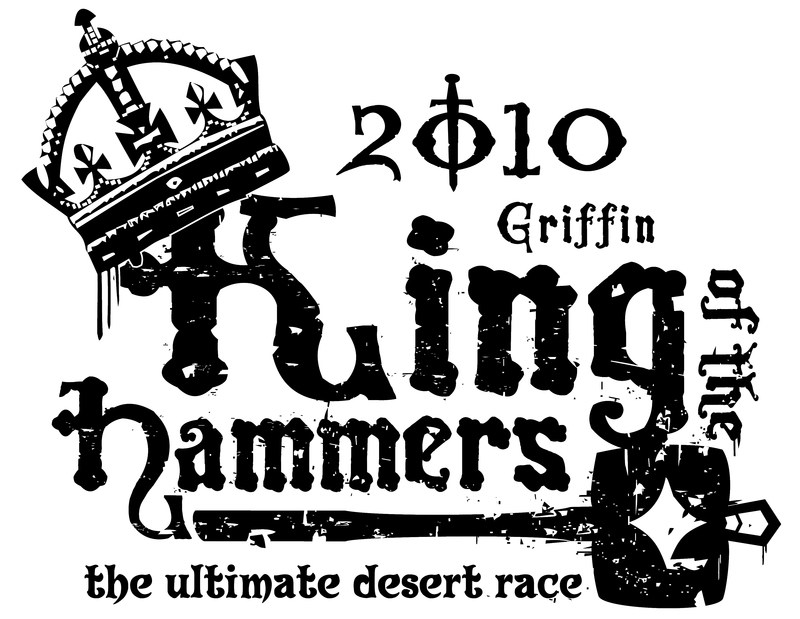 Ian McGlynn, Cottin Rodd and Larry Gipson all raced in the 2009 Griffin King of the Hammers main race last year and are still trying to qualify for this years race. There is also a group of seven that competed in last years LCQ who are trying their luck again including Brandon Johnson, Troy Bailey, James Andrus, Brandon Davis, Loren Healey, Jose Ponce and Josh Patt. The course this year is a grueling 6 miles. It starts by zig zagging up and around Means Butte and then increases speed through some fast desert to the Back Door obstacle that was the center of attention last year. Once the driver clears Back Door, they have a stretch of fast yet large whoops to handle and then go down Trap Door. As Back Door is a vertical climb, Trap Door is a vertical fall. Competitors will finish off the course with a very fast and fun desert section that has some serious potential for overdriving. As a spectator, it is good that there are two days of qualifying so you can move to different locations to see all the action. See the entire course rolled out at http://vimeo.com/9059027. Every spot in the Griffin King of the Hammers has been earned, but those that qualify through this final process could be called Knights of Armor. They are attempting to race two of the most challenging races back to back with only a day in between.